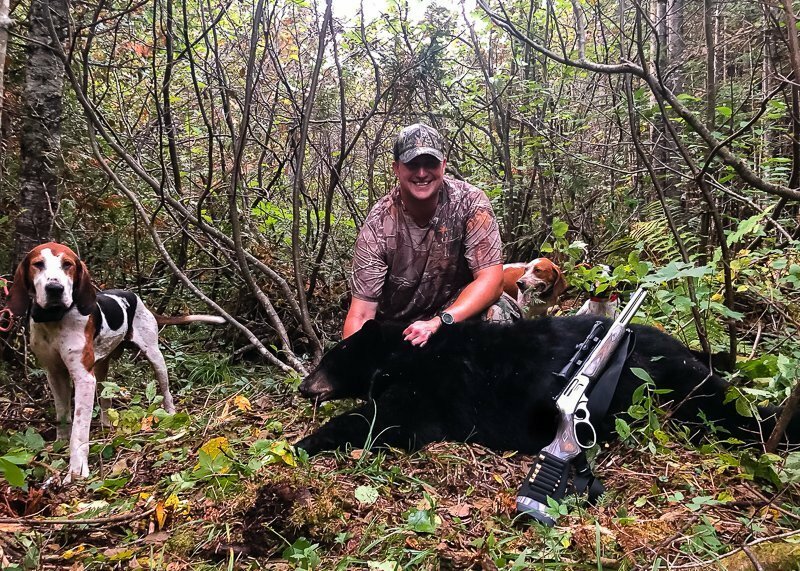 Hunting black bear with hounds is the most exciting way to bag a trophy bruin. Black bear hunting with hounds is allowed during the months of September and October. 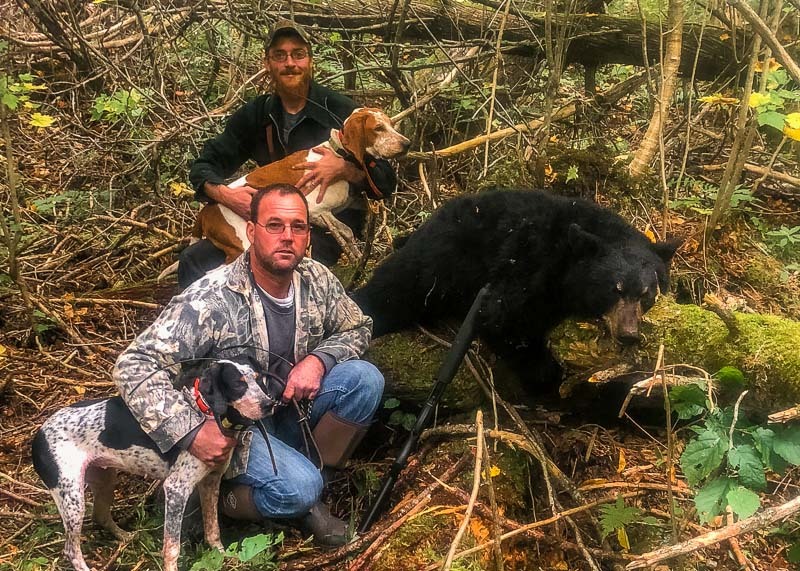 One Maine black bear may be harvested per hunter. We recommend that you are in good physical health for this hunting trip as it is a physical hunt. You may be walking through the woods at times, climbing steep embankments and crossing streams. We hold a 99% success sighting rate for hound hunts. 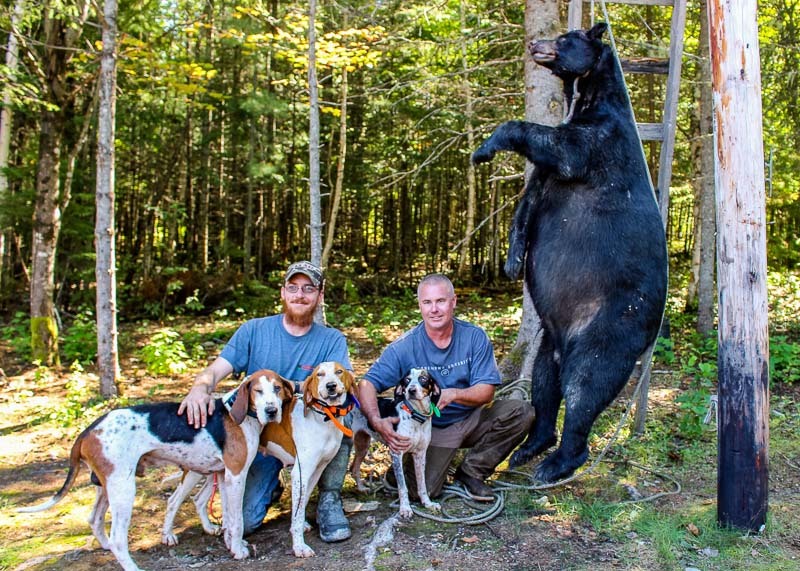 Being successful in harvesting a Maine black bear with hounds often rests on your shooting and physical capabilities. With hunts beginning very early in the morning you will find a light continental breakfast with coffee, tea or juice. You will have a bagged lunch to bring with you into the woods and sit down home cooked meal each night to end your day. You will feel right at home in one of our cozy camps. This is an all inclusive hunt with meals, lodging and transportation provided, once you arrive at the lodge. You will be required to purchase your license and tags for the trip. A non-resident license and bear tag is just under $200.00. Our hound hunts are either 3-day/4-night or 5-day/6 night, depending on your preference.